Before you proceed with downloading and installing these skin transformation theme for Microsoft Windows, do note that there are risk involves such as the possibility of making your system un-bootable or crash frequently. Always create a new restore point in the event things goes bad. As for system requirement, there is a possibility these skins might significantly slow down your computer, I highly recommend you not to use these skins unless you know what you are doing. Test it out on a dummy PC. 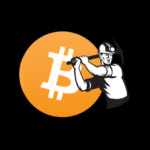 Fully working finderbar. Each button which is highlighted blue is functional. Of course only if the matching stuff is available on your computer. 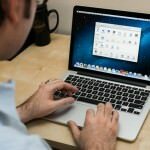 In example: You can only use the button “Apple software update, if there is any Apple software installed on your computer. Or you can only use the flying windows if you are on Vista or Windows7. 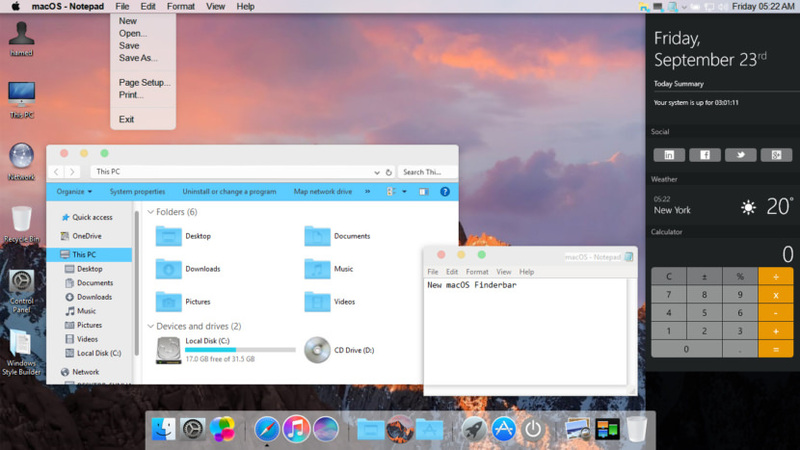 macOS Transformation Pack 4.0 will transform your Windows 10/8/7/Vista/XP user interface to macOS, including Login Screen, Themes, Wallpapers, Cursors, Fonts, Sounds, Icons, Dock, Finderbar, Dashboard, Spaces, Launchpad and more. 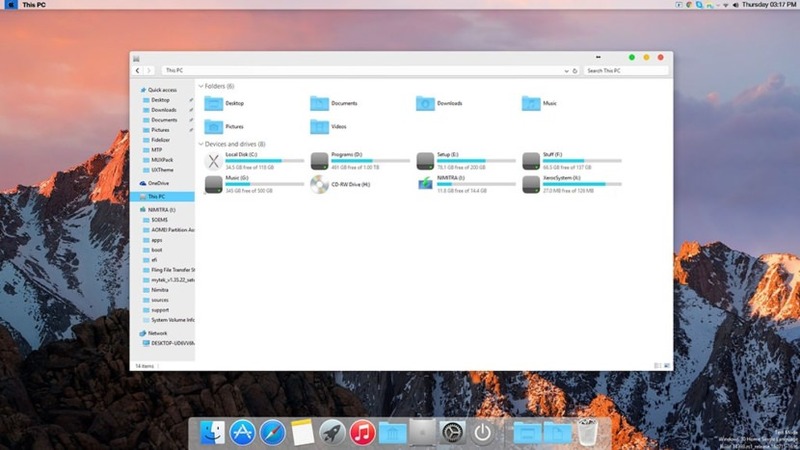 Yosemite UX Pack will give you all new OS X Yosemite user experiences combined with iOS 8 graphics such as theme, wallpapers, and new OS X features combined altogether in single package working on Windows 7/8/8.1/10 without touching system files at all so it won’t have such risk to harm your system at all. In this package, you’ll have the best user experiences greatly resembles real OS X Yosemite from Windows side without modifying system files. If you are bored with the default Microsoft Windows XP, Vista, 7 and 8 theme layout design, why not skin your Windows to look like Apple’s macOS Sierra? 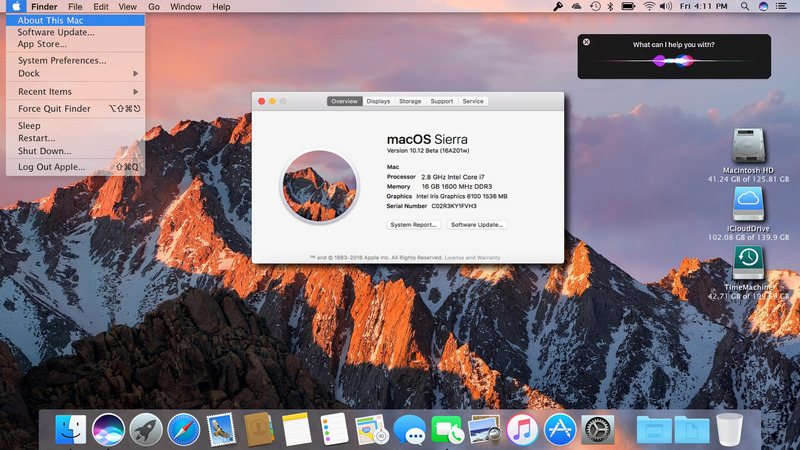 macOS Sierra SkinPack will transform your Windows 8.1/8/7/Vista/XP user interface to macOS Sierra, including macOS’s Boot Screen, Login Screen, Themes, Icons, Wallpapers, Sounds, Fonts, Dock, Dashboard, Spaces, Launchpad and more. 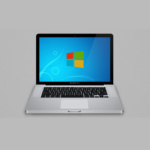 Turn Windows Vista into Mac OSX. I would love this mac theme! hey what abt the menu options of window?? It’s not a link you idiotic dipstick. If you can READ what i’m even SaYiNg! Does this have a virus? AVG told me it did, and I was wondering if any users had problems, or it gave them something malicious. I am hoping it was a false positive, as this looks sweet!!! But how do I download it on my Vista? 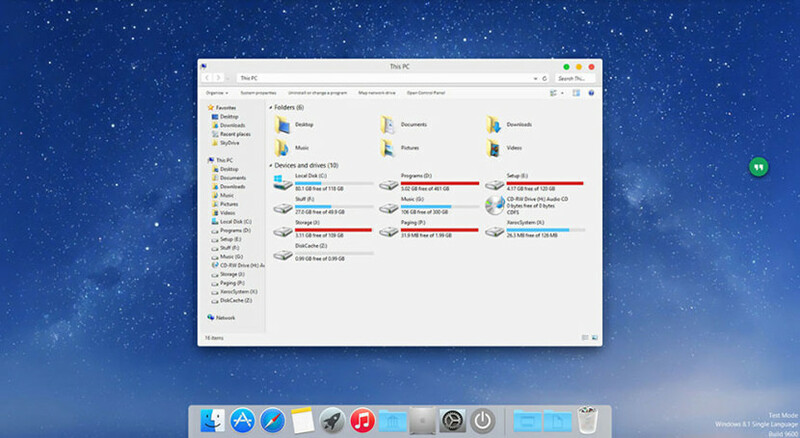 hey….i don’t need a trasformation pack…please give me a mac theme..
wats that bottom icon slider thing called !!?? Windows 7 users have a lot of personalization options right at their hands, without having to modify system files to do so. Only a dermatologist can tell you what type of skin you have.